Hummus – as we all know – is a unique and extraordinary thing. 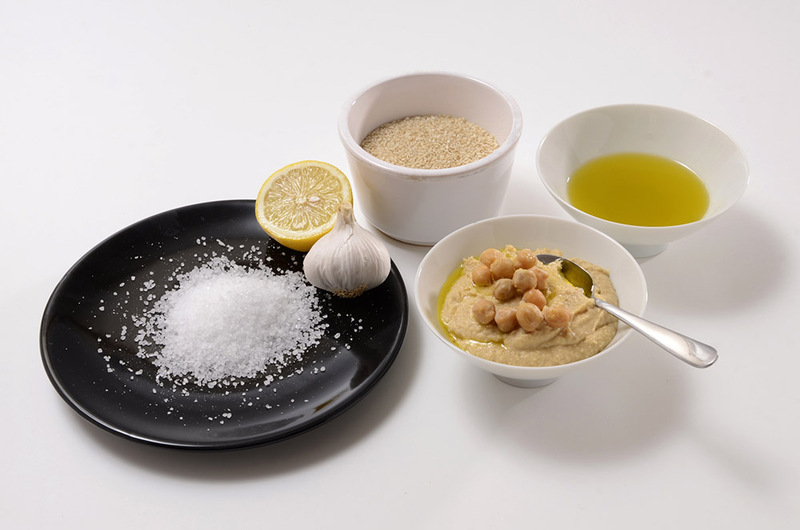 Runny, salty, creamy, grainy, or divine – there are as many recipes as amateurs, and the global quest for the perfect hummus in our modern society is everything but stale. 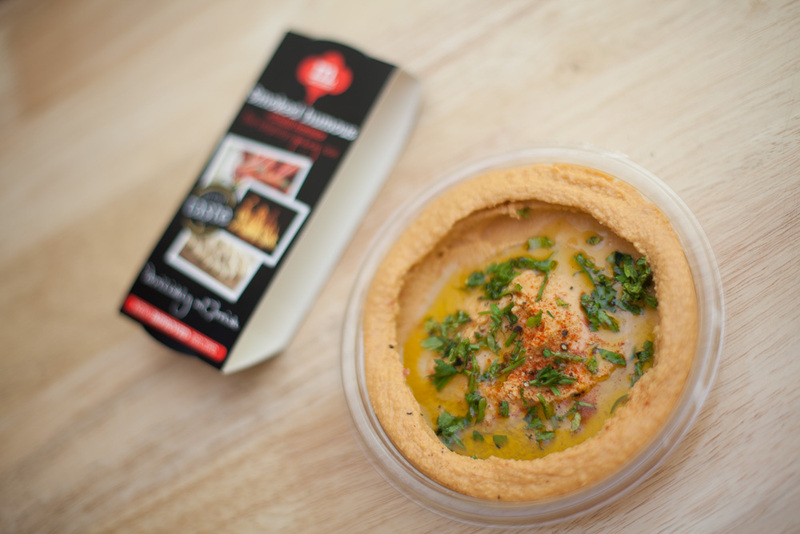 The first time we tried Moorish smoked humous, we were blown away. Holy smoke! 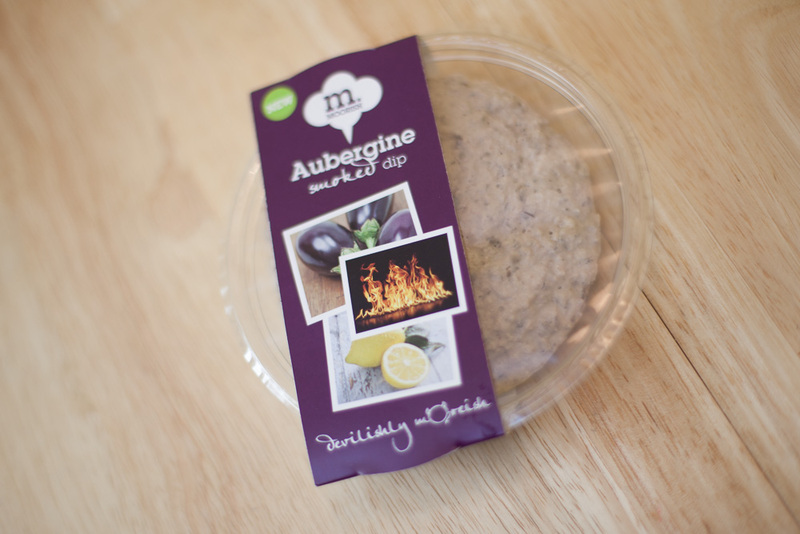 Sorry for the fumy (& intended) puns, but it’s hard to do justice digitally to such an original & delicious product. 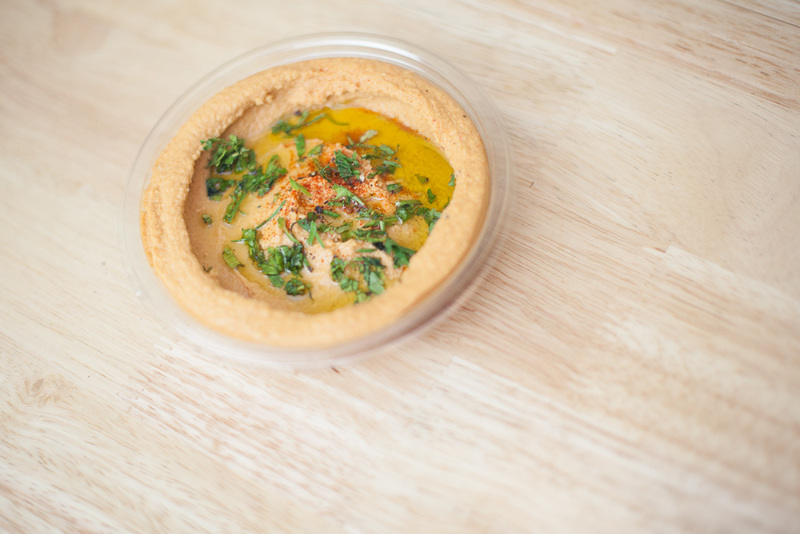 Our favourite is the classic, plain, smoked hummus, but the harissa variant, with just the right amount of heat to get you fuming isn’t far behind. The balance in salt/garlic/lemon is great, just as is the texture. No nasty chemicals, just natural goodness. Especially no preservatives (which aren’t necessary anyway, because once opened the yummi cream will miraculously evaporate in a mere minute). We had the chance to talk to Julie Waddell, who is the passionate entrepreneur, behind this amazing product. 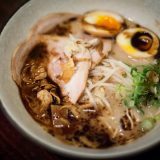 She gladly shared a lot of insider’s tips about her own experience with us, and we recommend anyone starting a food business to read this great interview. You can find her on facebook and twitter, and we also recommend you follow her blog, which regularly recounts her experience since starting her company. It’s very detailed and passionately written, thus an absolute must for any food entrepreneur out there. FC: Hi Julie, can you introduce yourself and tell us the story of “Moorish”? JW: Hi, I’m Julie Waddell a mum of two and now also a busy entrepreneur. I’ve done a number of jobs from marketing at British Airways, to running a University department and reading the news on BBC radio! Most recently I was lucky enough to work on my favourite show, BBC Radio 4’s “The Food Programme” which was fantastic. A passionate foodie at home, I enjoy making healthy and delicious food for my family and was working on some recipes to make humous taste amazing so my little boy would eat more of it. I came across a James Martin recipe for home-smoked duck, using a wok with tea, rice and sugar to form a ‘smoker’ and I wondered what it would be like if I smoked chickpeas for my humous. It tasted amazing and friend and family couldn’t get enough of it. 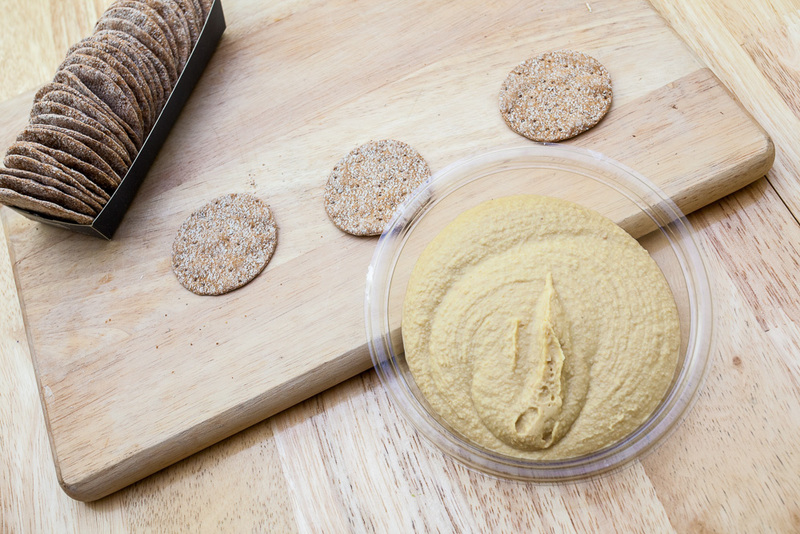 At the same time, I had done some research on humous at the BBC and discovered that it’s a very popular product in the UK but that the market was looking for something different. I put two and two together and decided my smoked humous could fit that need. I did some blind taste testing in my local deli and we came out as 4:1 winner over regular humous and so I decided to start the business. Selling in to local delis showed that we had really hit on something special as people came back week after week to buy more. 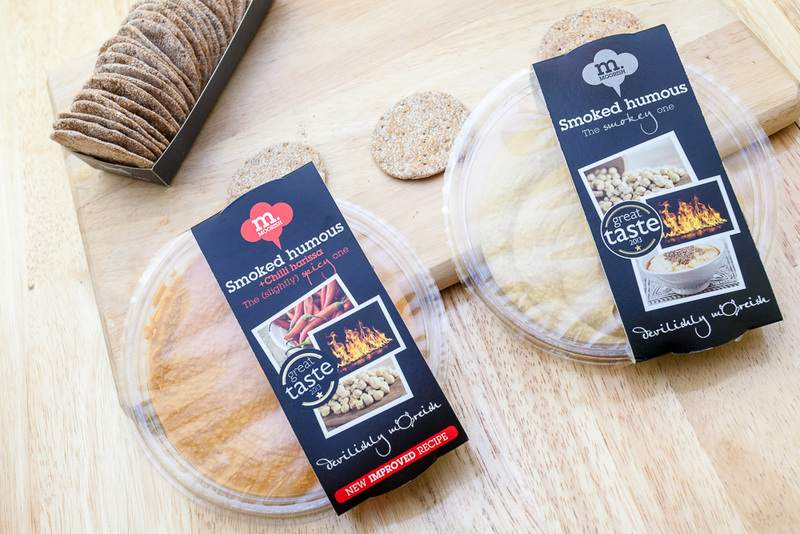 I emailed Waitrose and was incredibly lucky that the next day the buyer replied, and within a few weeks we had been in and offered a listing for 2 of my smoked humous products in 50 stores. 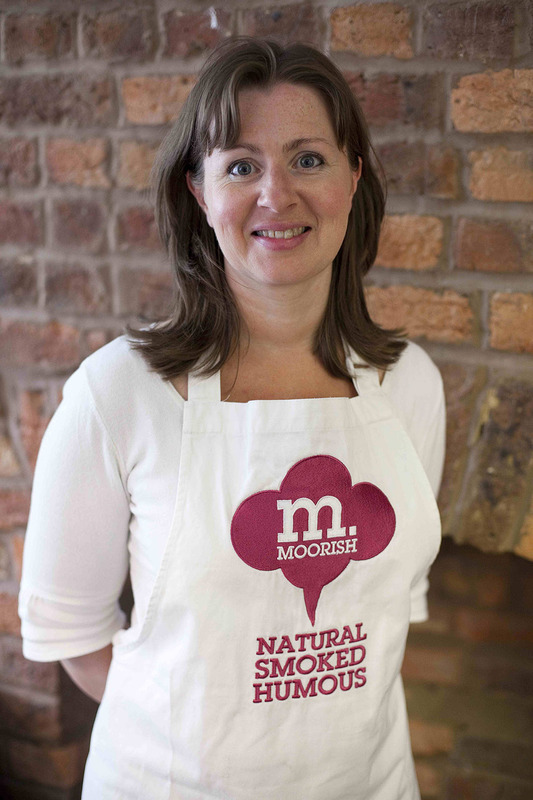 One year later and we have 3 products in 120 stores and are continuing to grow our reach with Moorish now being everywhere from the British Airways in-flight menu to Fortnum & Mason and Ocado. 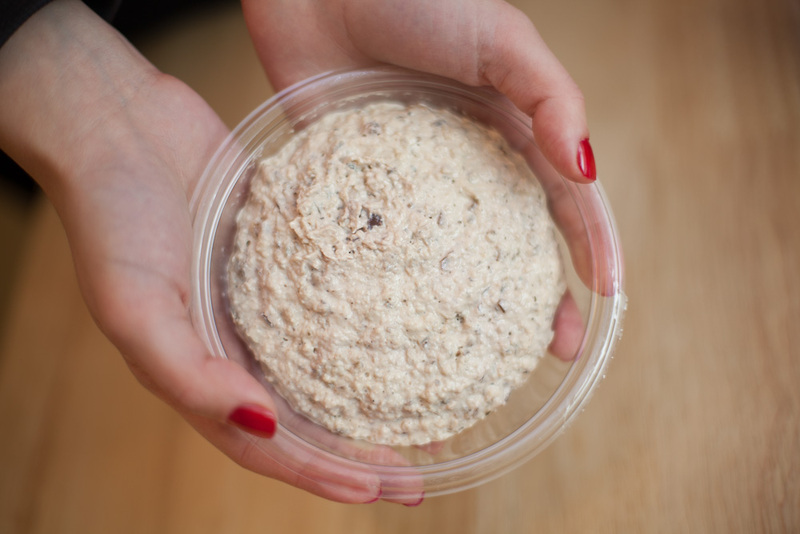 FC: What’s the secret for the perfect hummus? 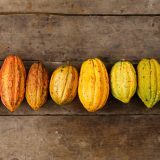 JW: It’s all about the balance of the ingredients to get the best flavour and taste. It’s amazing that a small handful of ingredients can yield such different results by just changing the proportions a tiny bit. I spent 4 months making humous every day until I felt I had perfected the recipe. 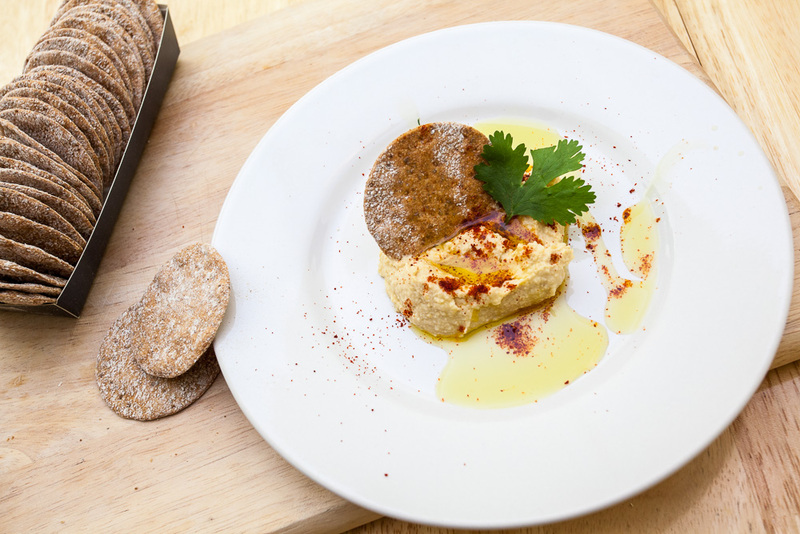 As well as getting the humous recipe right, the smoked chickpea element was a completely new thing and I had to work on finding the right wood, smoked in the right way for the right length of time. On regular humous, I find that olive oil is too bitter for my tastes (I prefer rapeseed) and that tahini is essential. I prefer to use chickpeas with the skin on as I feel they give a heartier finish (Xanthe Clay who is a food writer for The Telegraph agrees, but some people like them peeled). Other than that it’s down to personal taste to tweak the balance of ingredients and texture to your own preferences. FC: What were the biggest challenges you faced when starting? What helped you the most to overcome those? JW: Loads! Getting the products in to Waitrose was amazing and just what we needed but suddenly I had to get all my ducks in a row in a short space of time. I found a factory that was big enough to cope with the volumes and could grow as we did. 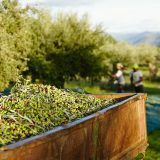 Supermarkets also expect certain quality standards in their suppliers’ manufacturing processes and I was lucky that my factory already supplied Waitrose with some products and had all of the paperwork in place. A really big challenge was managing cashflow, you have to spend money to launch a product (packaging, shelf life testing, transport) and there is a gap between the money going out and the revenue coming in. I didn’t have investors and we didn’t have money in our personal coffers so there was a lot of juggling and a few nights of beans on toast! JW: Getting a track record of repeat sales in my local delis was vital in showing that there was demand for Moorish. I have learned that this is called rate of sale (number of units you sell per store per week) and is what buyers in bigger retailers will want to know. I have learnt that getting the best shelf life possible also helps (we do this naturally through smoking and consumers do prefer additive-free food). Both rate of sale and good shelf life reduce wastage and that is what buyers are looking for in a fresh product. Ambient (not chilled or frozen) products are much easier to work with as they have ‘low risk’ manufacturing and don’t need chilled transport, you can sell ambient products from a website and they are much cheaper to send out in small quantities as samples – sending a few cases of chilled product in a temperature controlled van can cost me up to £100 a time! If you don’t have a big budget, engaging with customers through social media is great. We run competitions, respond to queries, see photos from our customers using our products to make lovely food at home and interact with other small businesses. For PR you need a good story, find the right journalist in the press you want to contact and use the right press for the stage you are at. By that I mean don’t go to national press if your product isn’t available nationally, you are less likely to get the story picked up and if you do people will be annoyed that they can’t buy it, also you only get one chance to make a splash and it’s better to do that when you have the products widely available so people can read about them and then buy them. Once in shops, a very cost-effective way to get the word out about your products is through sampling. Shops are usually happy to do this as they sell more and you get to engage with your customers, tell them why your product is great and hear feedback from the people you need to listen to. In terms of sales negotiation, you need to be very clear on your ex-factory price and your delivered price. The ex-factory price is the price it costs to make your product (ingredients, packaging, labour and overheads) plus the profit margin you want to build in. Some customers can collect and so will pay the ex-factory price but most want the product delivered to them. A delivered price needs to take in to account what it will cost to get the product to the customer and can be quite significant. Obviously the amount of product ordered and where it is going from and to are key, and chilled delivery costs much more than ambient as it requires special vehicles and temperature checks at point of collection and delivery. Be clear on your costs and work out a few levels of pricing based on volume (eg. I have a price for less than 100kg, less than 500kg and more than 500kg). Try to find out what profit margin the retailer expects, they can very widely from 30% to over 50% and make sure you can achieve a recommended selling price that will work for you, the retailer and the customer. Once you have established sales in shops you can look at growing sales in those shops through sampling or promotions, NPD (new product development) and wider distribution (getting in to more stores). JW: I took Moorish in to my local primary school to see how children would react to it. It was another blind taste test where I had regular humous and my humous both in the same coloured dishes and let them taste both to tell me which they preferred. One child tried the normal humous, gagged, spat it out and ran off for a glass of water. He didn’t even get as far as tasting mine. What we hadn’t known was that he had never had humous before and was expecting it to be sweet, what a shock it must have been for him! JW: We have big plans for next year; we’re in talks with other major retailers where we hope to start selling our products in the spring, we are also launching Moorish in a new snack-pack format with breadsticks (this is an exclusive by the way!) and these will be appearing on all British Airways flights from the Spring. 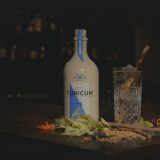 We are looking at other exciting new products to compliment the range and some totally different products to work on which will really surprise and delight people. JW: You don’t need loads of money, there are ways of ‘bootstrapping’ your business, but be sure you really are passionate, have something unique that people will really want and have bags of energy – you will need it! Running a food business is interesting, exciting and fulfilling. The best advice I can give is to ‘stop thinking and start doing’, if you have a good product and loads of determination you will get there.